Now Sam has travelled to Hoy, in Orkney, to piece together the puzzle of her father's past. Haunted by echoes of childhood holidays, Sam is sure the truth lies buried here, somewhere. This is an absorbing tale that blends family drama and Cold War spycraft, as young university student Sam Coyle delves into both her own past and that of an estranged childhood friend. Each had fathers who worked in covert roles for government bodies during the 1970s, and both men ended up vanishing from their daughters' lives while they were still young, in different ways. What effect does such a childhood have? When Sam stumbles across her friend's father in a remote spot on the Orkney Islands, and he wants to use her to help him reconnect with his daughter, who apparently has fallen in with a group organising and protesting against the government's Poll Tax, Sam's not sure what the ex-spy's agenda really is. Or whether he's actually an ex-spy. Carson does a good job evoking a really strong sense of the 1970s and 1980s. There are plenty of little touches woven throughout the story that give readers an insight into how the world was different back then: the concerns people had, their daily lives, how London was different etc. She also does a great job with the Orkney settings, when Sam visits there for her research or is remembering her father Jim taking them all there for holidays in the 1970s. Family trips or something else? 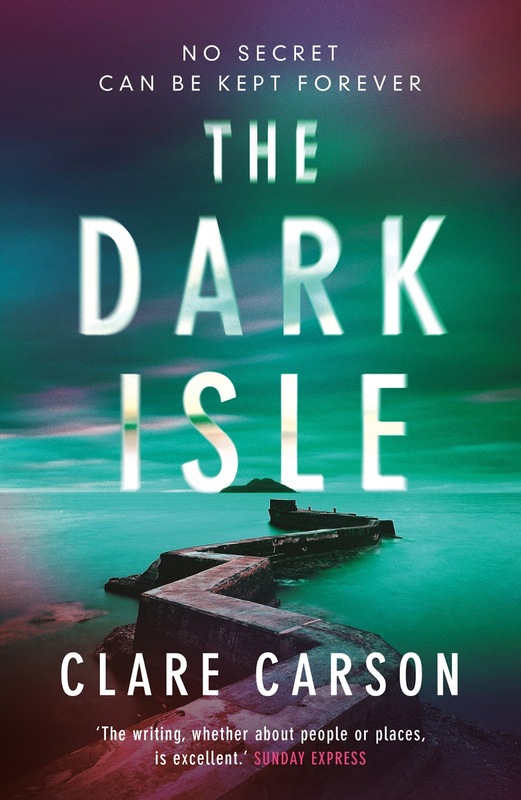 THE DARK ISLE isn't a pedal-to-the-metal spy thriller, instead it's a quieter, rich tale about the impact of that covert world on the families of those involved. There is plenty of action and intrigue to keep the pages turning, as past secrets and clashing agendas spring to life, but this book was more about the characters, particularly Sam as she tries to deal with her father's death and legacy, and the impact growing up in the family of a police spy had on her and how she approaches the world now. While Sam is the main character in THE DARK ISLE and throughout the trilogy centred on her and her family (ORKNEY TWILIGHT and THE SALT MARSH being the first two instalments), there are plenty of other well-drawn and interesting characters, from Sam's room-mate Becky to her father's old friend and colleague Harry, who is on 'gardening leave', quite literally from the spy game. Overall I enjoyed THE DARK ISLE. It's an absorbing read more than a page-whirring one, a quieter tale that draws you in with character and place, even as it has moments of high action and threat.